Positive outlook regarding the chemical industry and significant rise in food processing sector, coupled with the rise in population is foreseen to fuel demand for the fire tube industrial boiler in the global market. However, the boiler needs high maintenance and care to keep it running in good condition. The usual practices include washing, inspection, comprising of firebox, general overhaul, and regular detailed checking as well. Moreover, extensive cycling activity reduces the efficiency of the boiler. The non-condensing fire tube industrial boiler are more prone to corrosion. So owing to these drawbacks, the fire tube industrial boilers need to be cared well. The consistent efforts to reduce emission of greenhouse gases, coupled with the change in trends regarding the replacement and upgradation of current heating units are estimated to support the fire tube industrial boiler market growth. The initiatives taken by the governments of various regions so as to reduce the carbon emission, along with increasing investment for manufacturing energy-saving products are expected to stimulate the global industrial boiler market in the coming years. 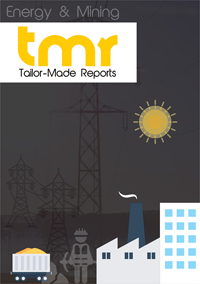 Moreover, it is also foreseen that the rising growth in mega power projects in developing nations are catalyzing the global industrial boiler market. Apart from this the stringent regulations by the government regarding emission of harmful gases and energy saving is contributing in the energy industry which resultantly surge the demand in the global industrial boiler market within forecast period. It is foreseen that increase in basic investment cost and requirement of skilled workers are likely to pull down the market growth of fire tube industrial boiler in the market in the forthcoming years. In March 2016, a well-known firm, Cleaver-Brooks launched an entire range of skid-mounted and containerized portable fire tube boilers. This product range product launch reinforced the product portfolio of the organization in portable fire tube boiler systems market. Geographically, the region of North America is estimated to lead the global industrial boiler market due to advancement in boiler’s heating units, especially in the U.S. Additionally, the inexpensive cost of natural gas in contrast with other fossil fuels are expected to fuel the business growth. Besides, Europe is also experiencing a notable traction in the entire industrial boiler market due to strong growth in food and chemical industries. Along with that, Japan is likely to flourish significantly as well due to rise in demand for processed food. The Middle East and Africa is witnessing a growth because of recovery in the cost of oil in Saudi Arabia plan for 2030 is rising in the global industrial boiler market. The key players dominating the global fire tube industrial boiler market are Cleaver-Brooks, Thermax, Siemens, AMEC Foster Wheeler, BHEL, Bosch Thermotechnology, Babcock and Wilcox, Hurst Boiler, Doosan, General Electric, Mitsubishi Hitachi Power Systems, Fulton, IHI, Clayton, Cochran and Rentech, and Forbes Marshall, among others. These leading firms operating in the market are concentrating on the innovation of new and advanced products, and are inculcating organic and inorganic projects their effective growth strategy.